Here is the fight you have all been waiting for! Be early for a seat. 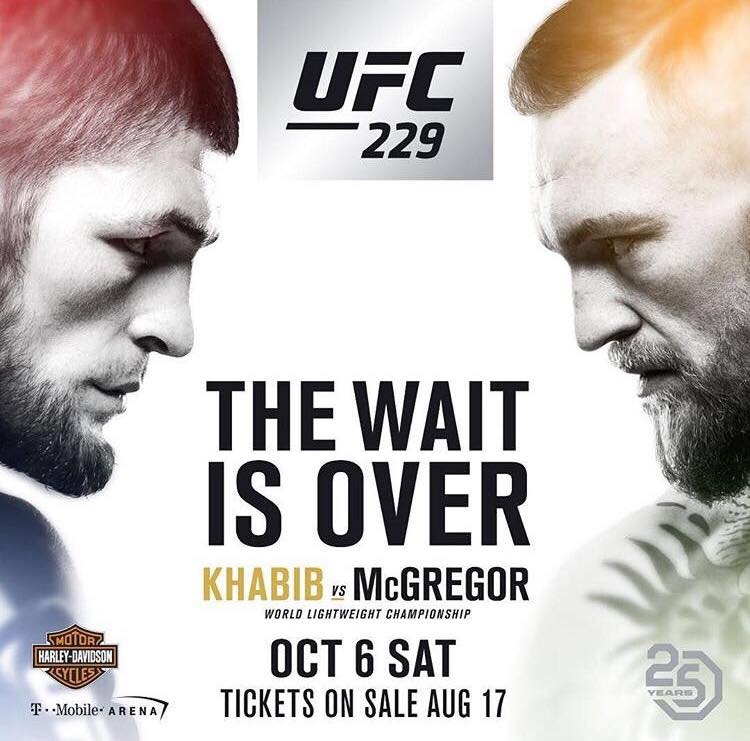 Tramps will be showing on all our tvs around the club the huge UFC 229 tournament including Khabib vs. McGregor headlining. Conor McGregor will make his long-awaited return to the octagon when he takes on Khabib Nurmagomedov for the lightweight title in Las Vegas on 6 October. If your in Tenerife you wont miss a thing with Tramps having the latest license on the strip until 6am showing the fights live on our multiple Tvs around the club.